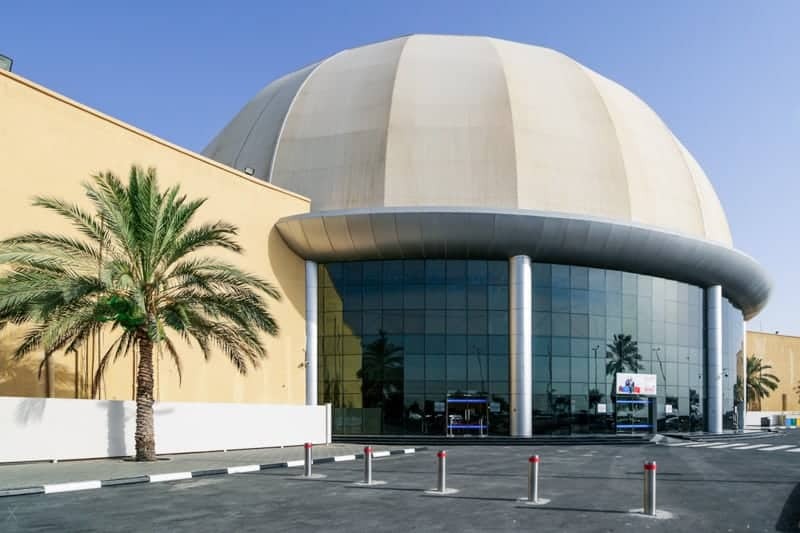 The Dubai Outlet Mall is one of the best places in the city to grab a bargain. It is home to over 200 stores offering top brands at heavily discounted prices. Products available include clothes, shoes, lingerie, sportswear and sporting goods, perfumes and cosmetics, electrical goods, watches, sunglasses, and toys. Large outlets here include & Sand Sports, The Outlet, Emax, Priceless, Studio R, and The Stock Market. Sun & Sand Sports is the largest sports retailer in the Middle East. They stock everything from t-shirts and swimming costumes to bicycles and golf clubs. Brands stocked include Adidas, Timberland, The North Face, Reebok, Dunlop, and Vans. Their outlet store is situated on the first floor near the dome. Priceless is an upmarket store offering designer clothes from the catwalks of Milan, Paris, London and New York at rock bottom prices. Brands stocked include Emilio Pucci, Jean Paul Gaultier, Jimmy Choo, Stella McCartney, Moschino, and Emporio Armani. Shops at Dubai Outlet Mall are listed below. The list was last updated on March 1, 2019 . Abdul Salam – Handmade carpets. Adidas Factory Outlet - Sports footwear and clothing. Aftershock London – Womenswear and accessories. Al Ansari Exchange – Foreign currency exchange and worldwide money transfers. Al Jaber Optical – Eyewear. Aldo – Shoes and accessories. Allday Minimart – Convenience store offering groceries, snacks, hygiene products, stationery, and more. Alpha Optical – Sunglasses, frames, and contact lenses. Angels – Children’s designer clothes shop. Brands stocked include Baby Dior, Kenzo Kids, Escada, Moschino, Laura Biagiotti, Timberland, and Ferrari. Annabelle – Ladies pyjamas, nightshirts, loungewear etc. Arabian Oud – Arabic perfumes and scents. Automobili Lamborghini – Fashion and accessories. Axezia – Women’s shoes, bags, and accessories. Babyshop – Children’s clothes, toys, furniture etc. Baldinini – Italian leather shoes and bags. Barakat Optical – Frames, sunglasses, and contact lenses. Basic Baxx – Unisex fashion. Bellissimo – Perfumes and cosmetics. Benelli – Cycles and motorbikes. Beyond the Beach – Outlet offering beachwear, swimming costumes, and sportswear. Brands carried include Tommy Bahama, Oakley, O’Neill, and Rip Curl. Big Brands – Perfumes, cosmetics, watches, sunglasses, bags, and accessories. Brands stocked include Burberry, Bvlgari, Dior, Dunhill, Victoria’s Secret, Chanel, Giorgio Armani, Jean Paul Gautier, Ralph Lauren, Tom Ford, Aigner, and Lancome. Burberry – Fashion for men, women, and children. Call It Spring – Canadian footwear and accessories. Camel Company – Arabian gifts and souvenirs. Carter’s – Clothes for babies and toddlers. Chantal – Leather bags and accessories. Charles & Keith – Shoes. Choice – Women’s fashion and accessories. Coach - Designer handbags, wallets, shoes and jewellery. Cole Haan – Leather shoes and bags. Comicave – Comic books and collectibles. DKNY – Donna Karan New York. Designers 4 Less – Designer fashion for women. Diesel – Denim and casual fashion. Elisabetta Franchi – Italian womenswear. F&F – Affordable clothing for men, women, and children. Fashion for Less - Multi-brand store for women and men. Fred Perry – British casualwear. G Square – Electronics and appliances. Gio Ferrari – Men’s fashion. Globe Sports / Converse – Sportswear. Grand Stores – Perfumes, cosmetics, bags and accessories, cameras and photography equipment. Harman House – Audio, TV, home theatre systems etc. House aDawliah Music – Musical instruments and audio equipment. Jack & Jones – Menswear. Jashanmal Around The World – Luggage and travel accessories. Juicy Couture – Ladies casualwear from LA. Just Accessories – Accessories and gifts. Kas Australia – Bedding, cushions etc. Kids Puzzle – High-end European fashions for children from babies up to 16 years old. Brands stocked include D&G, Juicy Couture, Roberto Cavalli, and Moschino. King Koil – Mattresses, mattress protectors, duvets, pillows etc. Lifestyle – Jewellery and watches. Lilys – Women’s fashion and accessories. Liu Jo – Italian fashion label. Man & Moda – Multi-brand clothes store for men. Mario Bruni – Men’s shoes and accessories. Mario Cerutti – Italian shoes and bags. Molini – Unisex clothes store. Montblanc – Luxury pens, jewellery, watches, and accessories. Nabeel Perfumes - Arabic perfumes. Native Art Gallery – Handcrafted jewellery, pottery, carvings, art, and more. Nayomi – Lingerie and nightwear. Necktie Corner - Men's ties, bow ties, cufflinks, socks, handkerchiefs, and accessories. Nishat Linen – Fashion and fabric. Original Marines – Clothing for children and babies. OshKosh B’Gosh – American childrenswear. Pal Zileri – Men’s fashion, shoes, and accessories. Pynkiss Milano – Hello Kitty designs. Racetrack – Products and accessories for motorsports fans. Reds & DT Jeans – Daniela Tobler Jeans. Reliable Electronics – Electronics, phones, gadgets etc. River Woods – Fashion for men, women and children. Rivoli Group – Watches and accessories. Roberto Cavalli Junior - Designer clothes for children. Sacoor One – Men’s fashion. Sacoor Women & Kids – Womenswear and childrenswear. Salam – Department store outlet. Salt Crystal – Decorative salt stone items. Socks – Socks, tights, stockings, knee highs, pantyhose, and leggings. Splash – High street fashion. Sports Market – Multi-brand sports store offering apparel, footwear, equipment, and accessories. Steve Madden – American footwear company offering shoes, bags, and accessories for men and women. The Athlete's Foot – Sports shoes. The Children's Place – Clothes and shoes for children. The Deal - Multi-brand fashion and accessories. The Happy Place – Toys, gifts, and gadgets. The Labels Factory – Fashion. The Outlet – Designer brands. The Shoe Deal – Footwear. The Stock Market – Famous designer brands. The Watch House – Watches. Umberto Bresci – Italian menswear. V Brand Gallery – Designer perfumes, fashion, and accessories. Vero Moda – Womenswear and accessories. Viennois Jewellery – Jewellery and accessories. Vincci – Shoes and handbags. The mall offers a good choice of restaurants and places to eat and drink. They are located at the first floor food court and elsewhere. Options are listed below. Baskin Robbins – Ice cream and frozen desserts (food court). Burger King – Burgers, fries, and fast food (food court). Chowking – Chinese and Filipino fast food (food court). Chuck E Cheese's – Pizzas, sandwiches, and salad (ground floor). Cold Stone Creamery – Ice cream, cakes, smoothies, and shakes (ground floor). Curries & Grills – Indian curries, kebabs, and grilled dishes (food court). Dolma House – Turkish and Russian cuisine (food court). El Mondo Express – Sandwiches, salads, burgers, cakes, and pastries (first floor). French Bakery – Sandwiches, croissants, pizza, coffee, and tea (ground floor). Hatam – Iranian restaurant (ground floor). KFC – Fried chicken (food court). McDonald's – Burgers and fast food (food court). New York Fries – Premium fries, hot dogs, and toppings (food court). Noon & Kabab – Iranian cuisine (food court). Panda Chinese – Chinese fast food (food court). Piero Pizza & Pasta – Italian (food court). Starbucks – Coffee, sandwiches, salads, pastries, cakes, and muffins (ground floor). Subway – Freshly made sandwiches and salads (food court). Tim Hortons – Doughnuts, bagels, cookies, and fresh coffee (ground floor). Chuck E Cheese’s is a family entertainment centre at the southern end of the ground floor. It offers games and rides, an ice rink, and bowling alley. There’s also a children’s soft play area at the opposite end of the mall. The Dubai Outlet Mall is open every day of the week. Standard opening times are Saturday to Wednesday 10 am to 10 pm, and Thursday and Friday 10 am to midnight. Opening hours may change during Ramadan and other special times of the year. Facilities and services at the mall include ATMs, customer service desks, toilets and baby changing facilities, luggage storage, public telephones, prayer rooms, plus parent and baby rooms. The Dubai Outlet Mall is situated on the Al Ain Road (Route 66) in the middle of what will eventually become Dubailand (currently mostly desert), around 16 miles south east of Sheikh Zayed Road. Free parking is available. The mall operates a shuttle bus from various hotels in Deira, Bur Dubai, Jumeirah, Dubai Marina, and Sheikh Zayed Road. Customers requiring further information should ask their hotel concierge or call the mall on 04 4234666. Visitors travelling by taxi should note that the mall has a comfortable taxi lounge where they can relax while waiting for their transport. Two public bus services go the mall (66 and 67). They both depart from Al Ghubaiba Bus Station in Bur Dubai (near Al Ghubaiba Metro Station). There are no Metro stations anywhere near the Dubai Outlet Mall. Map showing location of Dubai Outlet Mall. Do you have any formal Ecco boots for men in brown? Is there a cinema in the outlet mall? Do you still have Monday offers? As far as I remember Monday is offers day in Dubai Outlet Mall. Please let me know if you have in any of your stores sell Burberry scarves for men. We’re a tourist website. You’d have to call the store individually to find out what they currently have in stock. There is a Burberry Outlet store at the Dubai Outlet Mall. From what I recall they did have men’s scarves in when I last visited. You will have to confirm this with them though. Their telephone number, according to the official Dubai Outlet Mall website, is 97144255314. Comicave has opened at the Dubai Outlet Mall. The 17,000 square foot store sells collectables such as action figures, replicas, action figures, props, and more. The store features a comic island with over 5000 comic and manga titles. 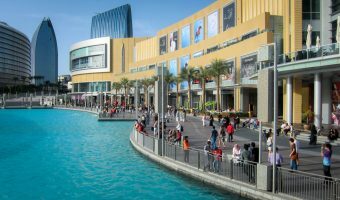 I’ve just updated the listing for Dubai Outlet Mall. A lot have things have changed in the last couple of years. Opening hours have changed. They are now Saturday to Wednesday 10 am – 10 pm and Thursday/Friday 10 am to midnight (previously timings were Sunday – Wednesday 10 am – 10 pm, Thursday to Saturday 10 am – midnight). Sports Direct has gone and has been replaced by Sun & Sand Sports. Paris Gallery’s Annex outlet has also gone and been replaced by Levant, Jashanmal, and Burberry. Other stores I’ve noticed are no longer there are Bauhaus and Century 2000. 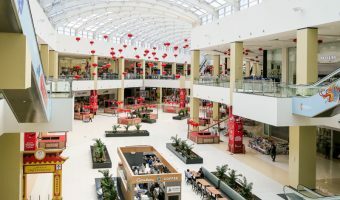 This massive outlet at International City claims to be home to the largest concentration of Chinese traders outside China.